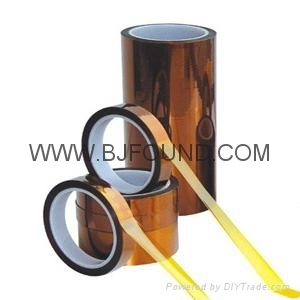 Polyimide Adhesive Tape(insulation Adhesive tape,Pressure-sensitive Adhesive Tapes) is also called Kapton tape which is made of polyimide film coated with heat-resistant silicone or acrylic adhesive. Polyimide Silicone Adhesive Tape is made of polyimide film coated with heat-resistant silicone adhesive, due to its stable press-sensitive macromolecule adhesive layer under high temperature, the tape offers excellent properties of heat resistance, electrical insulation, solvent resistance and radiation protection. It is innoxious, no abnormal smell, which does not cause damage to human-beings and the environment. Suitable for PCB, mobile phone and various electronic appliances and grade C for electrical insulation. For higher requirements of H level motor and winding insulation bandage, for fixing the end of high temperature resistant coil. In electronic electrician industry it can be used for higher requirements of H level motor and transformer, wrapping and fixing for coil insulation. Electrical resistance protecting when measuring warm resistance. Capacitance and wire tangles and other bonding insulation in high-temperature working conditions. Used for electronic protection paste in PCB manufacture industry, especially suitable for SMT anti-scar protection, electronic switch, finger protection of PCB Sheet metal, electronic transformers relay and various electronic components that need high temperature resistant and moisture proof. 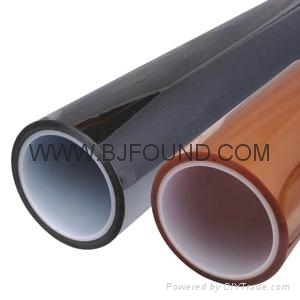 With low electrostatic and flame retardant polyimide tape according to the special process of the necessary., surface reinforcing protection in high temperature, metal materials painting in high temperature, cover surface protection in sandblasting coating, easy tear no incomplete glue after high temperature painting and baking. With high temperature resistance, excellent tensile strength, excellent chemical resistance, good no glue reside, environmental and halogen-free conform to ROHS, etc. Polyimide Adhesive Tape(insulation Adhesive tape,Pressure-sensitive Adhesive Tapes) with Acrylic resin is made of polyimide material with acrylic adhesive, which shows excellent dielectric insulation properties,high heat resistant and aging resistance. It is innoxious,no abnormal smell,which does not cause damage to human-beings and the environment and is widely used for PCB,mobile phone and various electronic appliances and class F for electrical insulation. 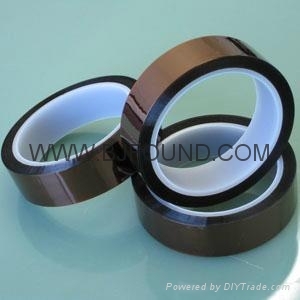 Advantages︰ Polyimide Adhesive Tape(insulation Adhesive tape) with excellent properties of heat resistance, electrical insulation.